Today, I’ll be reviewing another major telematics provider on the market called GPSINSIGHT. GPSINSIGHT has been around for a little over 10 years, and has roots in the trucking industry. I’ll be going over the pros and cons of the service in this review, and hopefully this gives readers a better idea on what the GPSINSIGHT platform can and can’t do for them. GPSINSIGHT is a full featured GPS tracking company, based in North America that provides tracking solutions for multiple industries and has a highly customizable software suite which allows businesses great flexibility in how they use it, and what types of data they can collect. GPSINSIGHT has solutions available for tracking even the smallest size fleets, all the way up to fleets of over 1,000 vehicles. Something that really stands out with GPSINSIGHT is how easy it is to navigate the software. All basic vehicle information is presented clearly on the main screen and it’s easy to see critical vehicle information. As far as alerting and reporting, these options are also available in sub-menus to be accessed separately. There is also a pro version available for fleets of 26 or more which provides a much more in-depth look into a fleet’s usage. This pro version is more difficult to navigate, and is definitely not as good as something like Navixy or Fleetmatics Reveal, but it still can be of use, especially for large fleets, it just might take some additional time to get used to. It’s incredibly important to do your research when looking at a GPS fleet tracking provider to ensure that you are getting the highest quality service and functionality for what you pay. Today I’ll be reviewing the Fleetmatics platform, hardware and options available to customers. My hope is that this will provide some insight as to whether Fleetmatics is the best choice for your fleet vehicle tracking needs. Fleetmatics is a full-service GPS tracking provider that is focused entirely on fleet vehicles, ensuring operational efficiency as well as compliance with current mandates for transportation companies. They offer several levels of service, which I’ll also get into later in this review. Another thing worth nothing, is that Verizon has recently acquired Fleetmatics and added it to it’s growing portfolio of telematics investments. In my opinion, this will only help ensure the reliability and quality of service that Fleetmatics provides by using the Verizon network exclusively. When it comes to using the Fleetmatics software there are a couple of different plans you can choose. The first is Fleetmatics Now, this is basically a lite version of their software for those who just need to know the current and historical location information of their vehicles. The second is Fleetmatics Reveal, which offers more advanced features such as custom alerting, geo-fencing, driver ID and more. This allows small businesses to get exactly what they need out of a fleet tracking system without paying for features they don’t need. As the market for custom GPS tracking solutions grows, businesses and individuals alike are searching for platforms which allow for the tracking of multiple objects simultaneously. Luckily, there are a number of providers on the market today to help users track their vehicles and assets in real-time. Today I will be reviewing the Navixy platform. At it’s core, Navixy provides it’s users the ability to track their vehicle, assets and other objects on an entirely web-based interface with no software to download or install. This allows for the intelligent management of assets from any computer, tablet or mobile device. For more advanced users looking to track large fleets, Navixy offers a full suite of tools that allow business owners to set packages, prices and configure devices remotely for their clients. 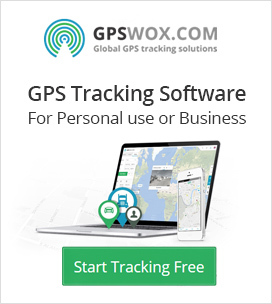 For those looking to build a GPS tracking business in the ever expanding market for location based intelligence, Navixy provides the software and tools required to build a tracking business. Full software branding available, however there is no possibility to get branded apps, like with Gpswox. With support for over 600 devices, this ensures that clients will be able to track almost any vehicle or asset imaginable!